We are hosting a fun day for the whole family including music, carriage rides, old fashion exhibits. We will be having games and prizes for the children, make n take crafts, face painting, and balloon art. The Schoolhouse, Worker’s House & Gallery, Smithville Mansion Annex Gallery, and Underground Railroad Museum will be open. The Smithville Mansion will be open. There will be a nominal fee of $5.00 to tour the Mansion. Food vendors will be available. Free admission and Free parking. 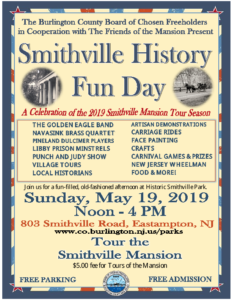 The Friends of the Mansion at Smithville is a non-profit group dedicated to the preservation and conservation of the Smithville Mansion, Annex and Schoolhouse located at 803 Smithville Road, Eastampton, New Jersey. 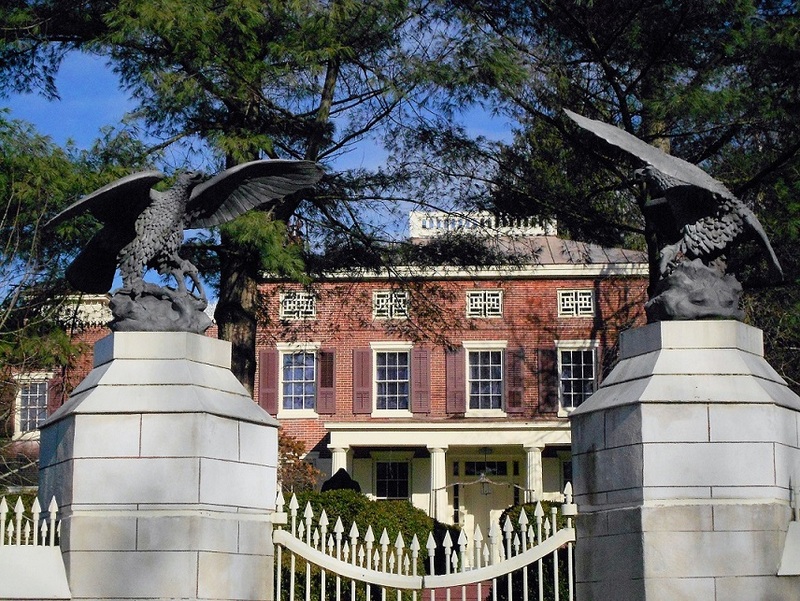 The mansion is part of the Burlington County Parks system.